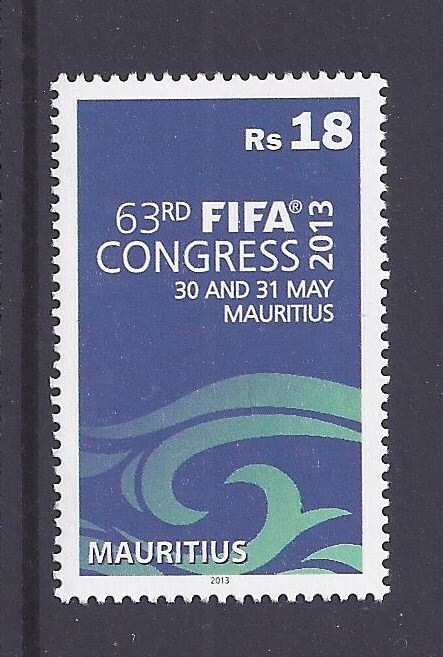 The Mauritius Post released on 30 May 2013 a new stamp on the occasion of the 63rd FIFA Congress held in Mauritius on 30 and 31 May 2013. 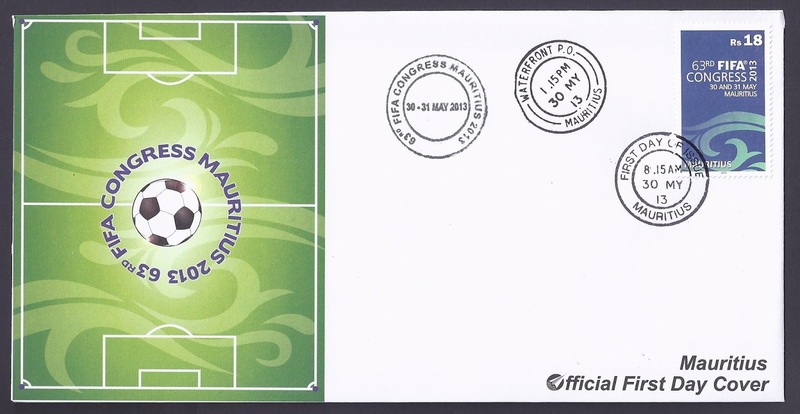 Some 1000 delegates from 209 member associations and journalists from international newspapers and magazines attended this international congress presided by Joseph Blatter, the President of the "Fédération Internationale de Football" (FIFA). FIFA was founded in 1904 and is based in Zurich; it has 209 member associations, employs some 400 people from over 40 nations and is composed of a Congress (legislative body), an Executive Committee (executive body) and General Secretariat (administrative body). The FIFA World Cup provides the finances and momentum to sustain FIFA's wider mission to 'develop the game, touch the world and build a better future'. 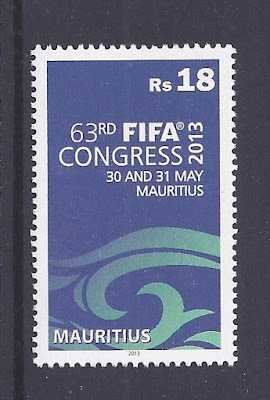 In Mauritius, the governing body of football is the Mauritius Football Association (MFA), founded in 1952 and affiliated to FIFA in 1962. It is currently the largest sports federation in Mauritius with 11,000 registered footballers.